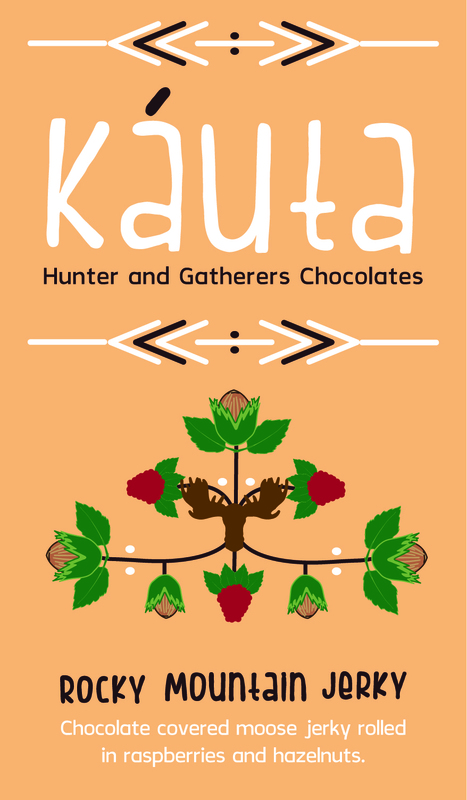 Káuta hunter and gatherers chocolate embodies a native American tribe known as the Nez Perce daily diet. 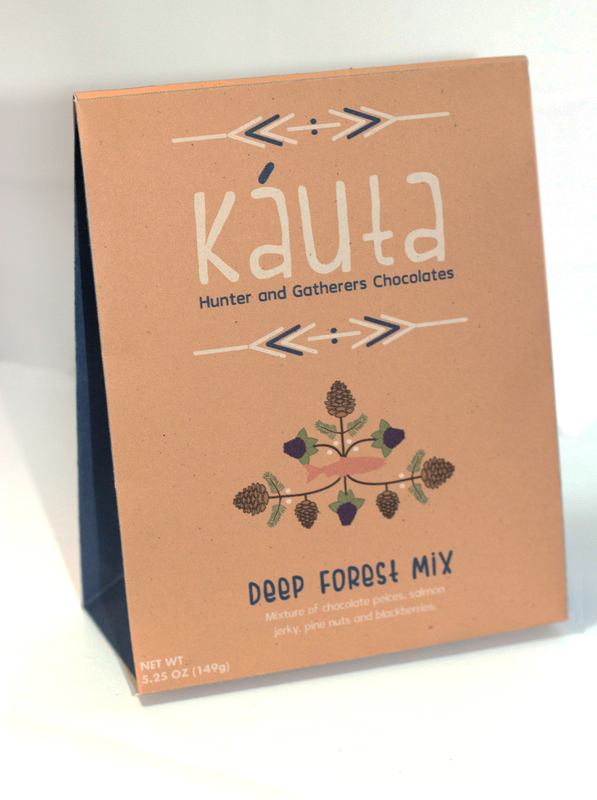 Káuta meaning feast, delivers a fulfilling chocolate experience for those who like to get back to nature. The packaging was designed based on patterns seen on the clothing the tribe would wear. Each pattern changes in relation to the ingredients and type of blend offered within the chocolate line.